When we were 26 and 28, after studying tourism and foreign travel, we began our adventure here at Roquebel. We will be really happy to welcome you and guide you to the most beautiful parts of the country around the town of Die, to give you information and advice to make your holiday in the department of Drôme as pleasant as possible. We love rambling, mountain bike, photography and excellent food so we are more than happy to share with our guests those unusual places and good restaurants that we know. 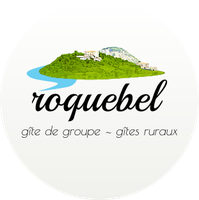 Come and have a holiday in the stunning surroundings of Roquebel in good company.